From $450/month – Min. 1 month – Available NOW! 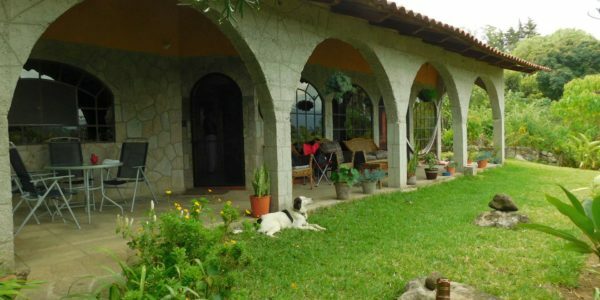 Casita El Pyramide is the perfect Get-Away casita surrounded by greenery with wonderful views in all directions, just outside of the town of Santiago Atitlan. 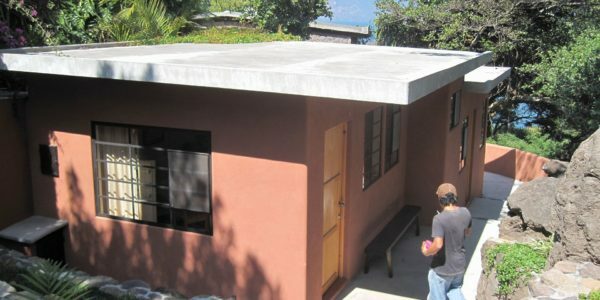 It is the perfect Lake Atitlan rental for El Hospitalito volunteers, or writers and artists looking for a retreat stay. 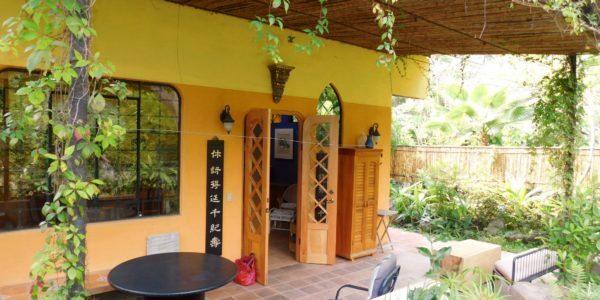 Built into the rich grey rock, indigenous to the south side of Lake Atitlan, this 2-storey structure, designed and built by resident artist owners, has a large double bedroom with half bath and closet space downstairs. 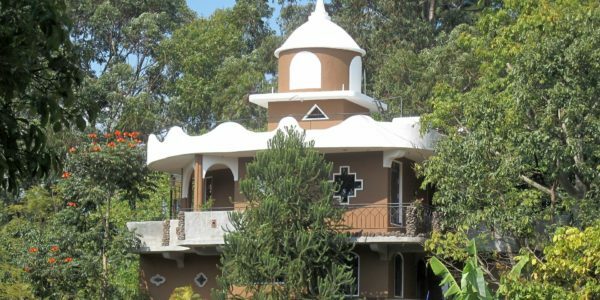 Up a short exterior staircase is a covered porch area for enjoying the surrounding vistas towards the lake and up volcano Toliman. 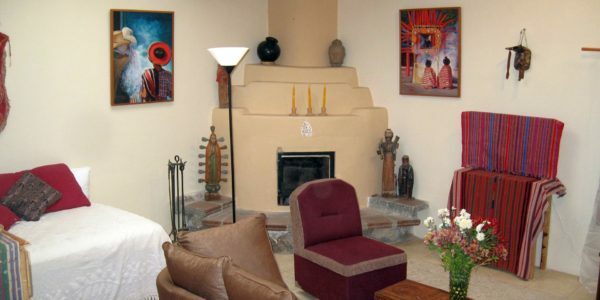 Upstairs houses a well-equipped kitchen, dining/work area seating area, along with a large bathroom with shower. There is a pila for washing clothes etc. and an enclosed, private garden. 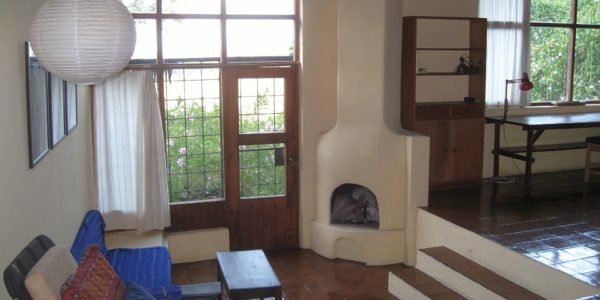 This gorgeous, cosy, Casita El Pyramide is on a large property, where the owners also live and has direct access to the waterfront for those wishing to swim in the calm morning waters. There are a total of 4 houses on the property, but each very much has its own privacy. A short 15-min walk, or 5 min tuk tuk ride, will get you into the centre of Santiago Atitlan and the dock for boats direct to Panajachel (Pana) and also to San Pedro. Large porch, partly covered, for morning coffee or evening cocktails!